The JD editors Daniel Koehler and Christine Hutzel present the seventeenth issue of the Journal for Deradicalization (JD), the Winter 2018/2019 edition. All articles of the Journal for Deradicalization (JD) - which is the world’s only independent and completely peer reviewed journal for deradicalization - are published with 100% open access and can be viewed and downloaded free of charge. The JD is published four times per year (quarterly). The JD editors Daniel Koehler and Christine Hutzel present the sixteenth issue of the Journal for Deradicalization (JD), the Fall 2018 edition. All articles of the Journal for Deradicalization (JD) - which is the world’s only independent and completely peer reviewed journal for deradicalization - are published with 100% open access and can be viewed and downloaded free of charge. The JD is published four times per year (quarterly). The JD editors Daniel Koehler and Christine Hutzel present the fifteenth issue of the Journal for Deradicalization (JD), the Summer 2018 edition. All articles of the Journal for Deradicalization (JD) - which is the world’s only independent and completely peer reviewed journal for deradicalization - are published with 100% open access and can be viewed and downloaded free of charge. The JD is published four times per year (quarterly). The JD editors Daniel Koehler and Christine Hutzel present the fourteenth issue of the Journal for Deradicalization (JD), the Spring 2018 edition. All articles of the Journal for Deradicalization (JD) - which is the world’s only independent and completely peer reviewed journal for deradicalization - are published with 100% open access and can be viewed and downloaded free of charge. The JD is published four times per year (quarterly). The JD editors Daniel Koehler and Christine Hutzel present the thirteenth issue of the Journal for Deradicalization (JD), the Winter 2017 edition. All articles of the Journal for Deradicalization (JD) - which is the world’s only independent and completely peer reviewed journal for deradicalization - are published with 100% open access and can be viewed and downloaded free of charge. The JD is published four times per year (quarterly). The JD editors Daniel Koehler and Christine Hutzel present the twelfth issue of the Journal for Deradicalization (JD), the Fall 2017 edition. All articles of the Journal for Deradicalization (JD) - which is the world’s only independent and completely peer reviewed journal for deradicalization - are published with 100% open access and can be viewed and downloaded free of charge. The JD is published four times per year (quarterly). The JD editors Daniel Koehler and Christine Hutzel present the eleventh issue of the Journal for Deradicalization (JD), the Summer 2017 edition. All articles of the Journal for Deradicalization (JD) - which is the world’s only independent and completely peer reviewed journal for deradicalization - are published with 100% open access and can be viewed and downloaded free of charge. The JD is published four times per year (quarterly). The JD editors Daniel Koehler and Christine Hutzel present the tenth issue of the Journal for Deradicalization (JD), the Spring 2017 edition. All articles of the Journal for Deradicalization (JD) - which is the world’s only independent and completely peer reviewed journal for deradicalization - are published with 100% open access and can be viewed and downloaded free of charge. The JD is published four times per year (quarterly). The JD editors Daniel Koehler and Christine Hutzel present the ninth issue of the Journal for Deradicalization (JD), the Winter 2016/2017 edition. All articles of the The Journal for Deradicalization (JD) - which is the world’s only independent and completely peer reviewed journal for deradicalization - are published with 100% open access and can be viewed and downloaded free of charge. The JD is published four times per year (quarterly). The JD editors Daniel Koehler and Christine Hutzel present the sixth issue of the Journal for Deradicalization (JD), the Spring 2016 edition. All articles of the Journal for Deradicalization (JD) - which is the world’s only independent and completely peer reviewed journal for deradicalization - are published with 100% open access and can be viewed and downloaded free of charge. The JD is published four times per year (quarterly). The JD editors Daniel Koehler and Christine Hutzel present the fifth issue of the Journal for Deradicalization (JD). With the Winter 2015/2016 edition, theJournal for Deradicalization (JD) is also celebrating its first birthday as the only independent and peer reviewed open access online journal about the theory and practice of deradicalization and processes of radicalization worldwide. The JD is published four times per year (quarterly). Die JD Editoren Daniel Koehler und Christine Hutzel präsentieren die vierte Ausgabe des Journal for Deradicalization (JD). Das Journal for Deradicalization (JD) ist die weltweit einzige begutachtete Fachzeitschrift zur Theorie und Praxis der (De-)radikalisierung und erscheint vierteljährlich im open access Format. The JD editors Daniel Koehler and Christine Hutzel invite academics, practitioners and policy makers to submit articles for the next JD issue to be published quarterly. 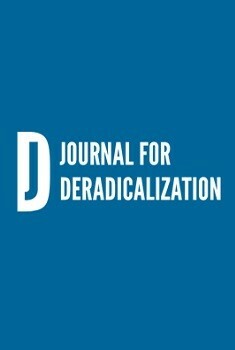 Article types may include research papers, working papers, policy recommendations, conference reports, field experiences, interviews, book reviews and program introductions within the topic of radicalization and deradicalization studies of all radical milieus. Und das Journal als Forum für eine fachliche Debatte zum Thema zu nutzen. Das Journal for Deradicalization (JD) basiert auf der Unabhängigkeit und Transparenz akademischer Standards. Alle Artikel sind kostenlos und frei verfügbar und werden durch anerkannte Experten im Feld begutachtet, um die praktische Relevanz der Aufsätze sicherzustellen, ohne die professionellen wissenschaftlichen Standards der Veröffentlichung zu verlieren. Das JD ist vollständig unabhängig von jedweder Institution oder Parteipolitik. Objektivität, Unparteilichkeit und Präzision sind ihre Leitstandards, deren Erfüllung die Herausgeber von ihren Autoren erwarten. Das Aufsichtsgremium des JD besteht aus den weltweit führenden Experten auf dem Gebiet der Deradikalisierung: Prof. Dr. John G. Horgan (Georgia State University); Prof. Dr. Tore Bjørgo (Research Director, Norwegian Police University College/Senior research fellow, NUPI -Norwegian Institute of International Affairs); Prof. Dr. Mark Dechesne (Leiden University); Prof. Dr. Cynthia Miller-Idriss (American University Washington); Prof. Dr. Marco Lombardi (Università Cattolica del Sacro Cuore Milano); Dr. Paul Jackson (University of Northampton); Prof. em. Michael Freeden (Oxford University); Prof. Hamed El-Sa'id (Manchester Metropolitan University); Dr. Omar Ashour (University of Exeter).